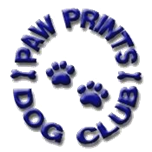 Paw Prints Dog Club meets the 3rd Wednesday of each month at 6:30 PM. Welcome to Paw Prints Dog Club! 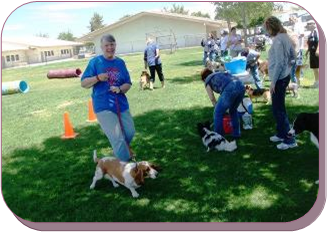 Paw Prints Dog Club is located in the Southern California area called the Victor Valley, comprising Adelanto, Apple Valley, Hesperia, Phelan and Victorville. We are a supportive group of people who really love our All American (mixed breeds) as well as pure bred dogs. Members of our dog club aspire to learn more about their pets and participate in many activities with them. Dog agility - A fun confidence building game where the dogs (with owner direction) run courses with jumps, tunnels, dog walks, a-frames and teeters. Want to learn? Three of our club members are agility trainers for Paw Prints Dog Club. We have ongoing classes throughout the year. Obedience - Want your dog to be better behaved? Well, our dog club has several trainers to choose from! Of course, you're free to use whomever you please. Fun Match An annual fundraising event held locally and open to the public. We have three agility rings including Beginners, Jumpers and Standard, a large raffle table(s), and a fun rally/obedience type of course designed by one of our members. 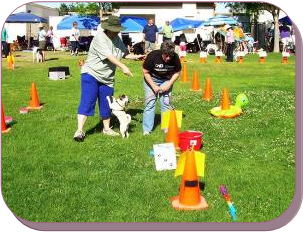 Canine Capers - An annual event for Paw Prints Dog Club members. 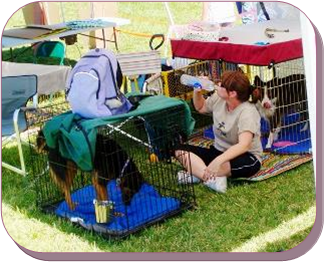 This is a picnic get together in a local park with many fun games for all dogs and their owners. Come visit us! If you would like more information, please e-mail info@pawprintsdogclub.com and we'll get back to you as soon as we can.